less than $3500 total on this one. its a 79, almost perfect shape with title for $750. the vette already came with sbc headers and new 2.5 fromaster exhaust installed, and was driving when it came in. paz says 235/60 fronts and 275/60 rears should be perfect for her new ride. brother micks got an rpm intake for her he says she can have for free. for less than $3500 total. 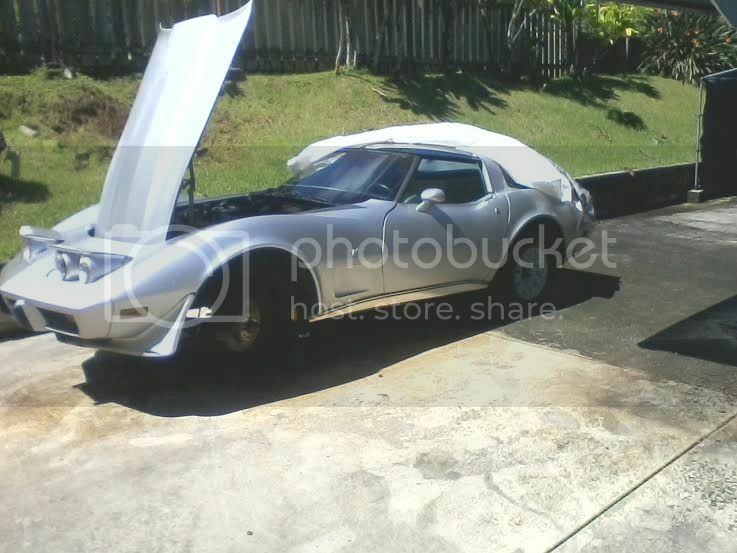 nice, there must not be much love for the greenhouse Corvettes in Hawaii $2500 buys you a basket-case shell here. Last edited by SuperBuickGuy; October 16th, 2015, 06:30 PM. I read this around 4:00...... Passed out when I hit the $750 thing......just came to again. That is the kind of bargain I need to find! Cool project. Last edited by fatguyzinc; October 17th, 2015, 03:10 AM. from brother bobby for a trade of a few rims, a BBC main girdle, and a straight axle..
i seriously think we can hit the $3500 or less goal. we shall see ! Gear drive and hi volume oil pump can kill your budget.. In derby use, hi volume pumps will empty your pan... Thus sucking air..
ok, so i am just about ready to order the cam--i got it narrowed between 2 choices. both are hydraulic flat tappets. my p*nis, however, is telling me to do the 280...go big or go home, right? What are the numbers at .050? if it's a legit 10:1, it may be fussy with the 270 and a bad tank of gas. edit - I wasn't paying attention. It doesn't look like you've picked out heads yet. I'd pick them first! Last edited by Beagle; November 1st, 2015, 02:01 AM. 270 is 221 degrees @.050, and the 280 is 232 degrees @.050..
the pistons are actually 10.75 replacement flat tops. so should be 9.75 minimum to 11-1 depending on chamber cc..
or the world 1.94 heads. my peepee go "sha-boing, boing, BOING" !!!! put my old 15x4 / 15x8 rallys from the white 454 vette onto the silver one this week. made their way onto this one.maybe its silver car/silver rims, but it looks killer. 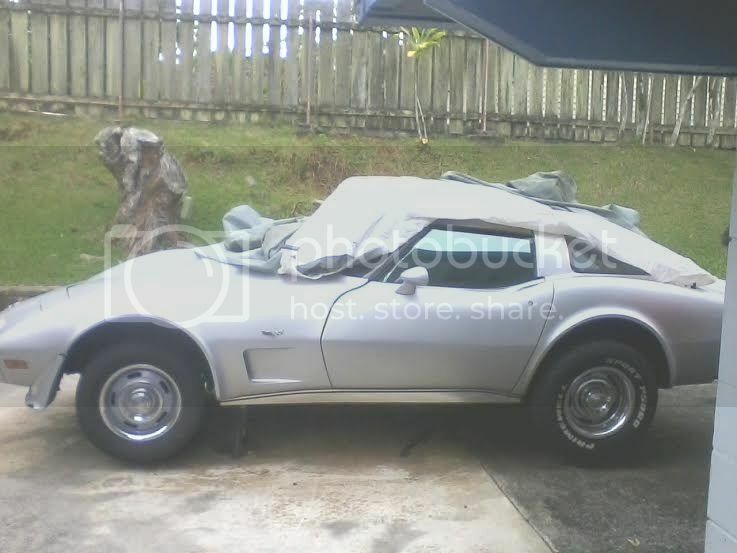 thats a 205-70 front and a 275-60 rear on this silver vette, too. at work ( orielly auto ) and the rears are stock vette trim rings on stock 8" rims. and got the geardrive in the mail monday. curb weight it should be a FUN little ride for mama ! Last edited by fatguyzinc; April 8th, 2016, 02:07 AM. YES !!!!!!!!!!! bought the summit 2.02/72cc heads today, new in box $500. hmmm.... that still seems like a lot of work, hah hah. oh well if it was easy everyone would have one, right? Last edited by fatguyzinc; April 9th, 2016, 11:50 PM. I don't think you will have 10:1 compression with those heads on a stock 350. The mid '70's 350's had dished pistons that were often .030" down in the holes. That's why you can 50* of advance timing without it knocking and pinging. TRW used to sell pop-up pistons that cured all the woes of those heads. My friend with the 10.90 '70 Camaro is running that setup. Full street car, no lightening, etc. They can work if all the pieces play nice with each other. Even with 9:1 compression, with the cam he got and decent heads, it will be a fun driver.